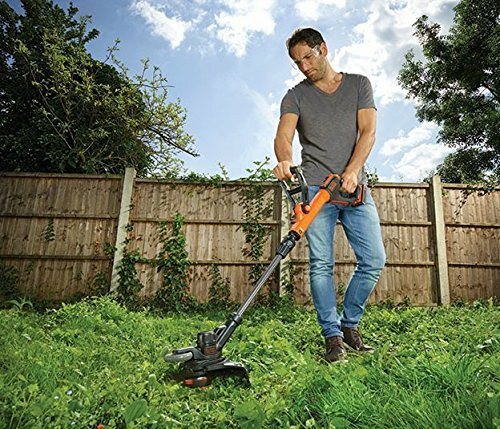 This is an affordable and high quality strimmer from the popular Black&Decker brand. They are known for making good quality gardening tools at affordable prices. 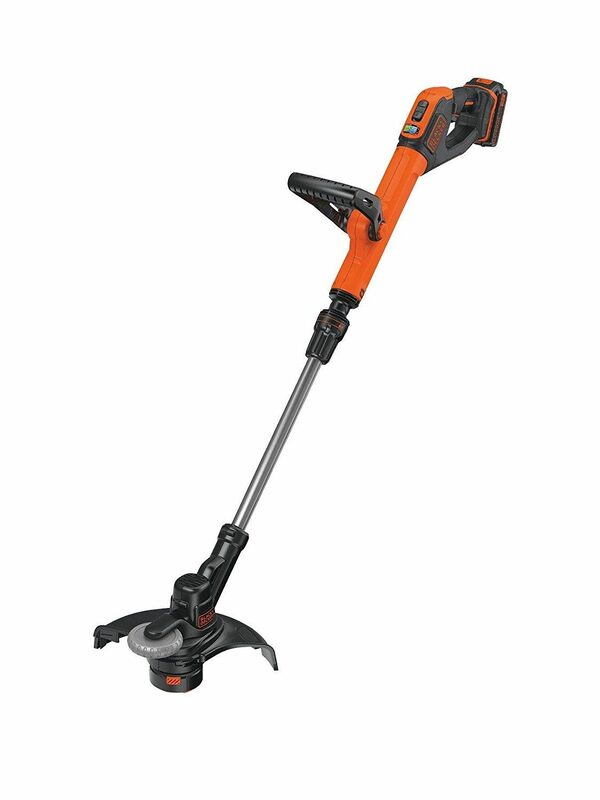 The number one on our top rated list is the Black + Decker GLC3630L20-GB, however that is a more expensive product. This one priced at around £80-85, will be more affordable. The main difference, aside from the price, is that this one uses an 18 volt Lithium-Ion battery, where as the more expensive model, uses a 36 volt battery. The smaller battery in this one does not put buyers off though. This model gets a very high 94% satisfaction rate from buyers, so clearly it more than meets their needs, when it comes to cutting grass, and doing the edges of the lawn. The STC1820PC-GB is a fast cutting machine that has the very useful automatic feed system for the line. That means no need to have to bump, or tug the line out when it breaks. That alone will save you a lot of time and frustration. It converts really easily and quickly from a strimmer to an edger, and that allows you to get on with the job a great deal faster. All round this product gets very good ratings and reviews, and buyers think it is very good value for money. Buyers loved the fact, that you could use this anywhere in the garden, and not have to worry about a trailing lead. That also made it very useful to take to their allotment, or to tidy up graves. Let's have a closer look at the detail. Runs on an economic setting, but that can be increased if required, to get through tougher areas of grass. Telescopic handle and second adjustable handle to make sure the strimmer is the right size for your height. The majority of buyers rate this strimmer as a 4.7 out of 5 star product and that is indeed a very high rating. As it is cordless it means you can take this anywhere with you. It certainly has all the right features at a very good price. If this is not the one for you, then why not have a look at our top rated list.